Replacing internment camps for snatched children with internment camps for families was the “good” thing these ghouls did this week. A week which should provide enough evidence to put this entire administration in The Hague. 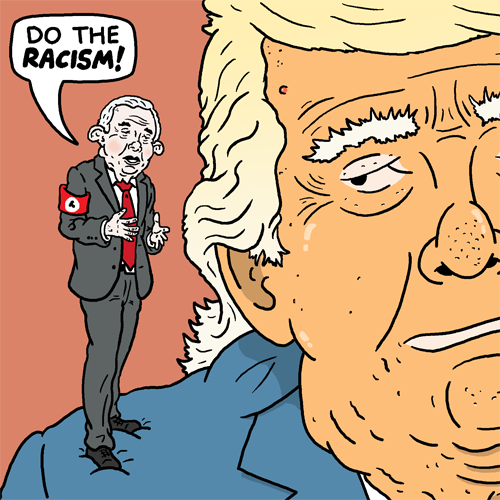 If I had more time, I would’ve added a lot more details to the “gross up” of Trump, but I usually run out of steam by the time I get to coloring these comics.